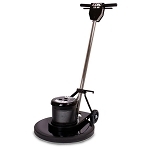 The Nautilus hard surface machine allows you to rinse and extract any hard surface in one easy step. 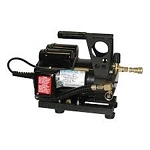 We recommend using the Nautilus with the SX-12 Hard surface wand. The new design for the Gekko SX7 head hardsurface cleaning tool expands on the versatility of the original by combining two tools into one. Instead of needing a tool for cleaning countertops and showers, and then another for cleaning hardsurface floors, this Gekko SX-7 head combines both a handheld and an upright tool into one for your Gekko wand. 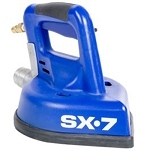 The SX-7's teardrop shape and front jet allows it to clean closer to walls and corners than any other tool on the market. The Gekko SX7 is aggressive with even cleaning, especially in small tight areas such as; bathrooms, closets, showers and more! 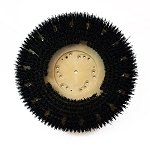 We carry multiple grit brushes to help with any cleaning job. Ask us which brush would be best for your cleaning job! The perfect brush to help clean any hard surface including grout lines! 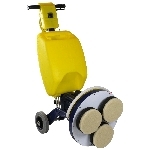 Use the versatile Cimex machine by changing the pads out to brushes and use for pre scrubbing any hard surface prior to rinsing and extracting. 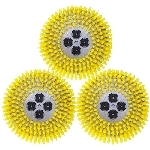 Use the Counter rotating brushes to quickly scrub the floor allowing the brushes to help loosed stubborn grim that is stuck to any hard surface.